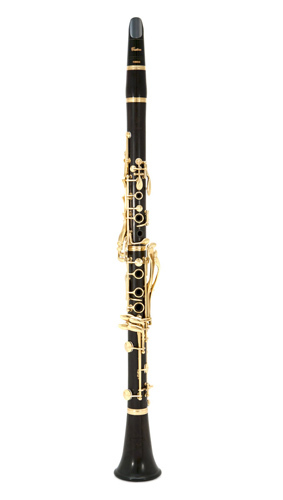 The CSGAIII-HL benefits from the special Hamilton gold plating to enhance the resonance of the instrument and the extra low E & F correction key to stabilise intonation at the bottom of the clarinet. Both the bell and barrel have been redesigned from the original CSG clarinet, these changes add more warmth and resonance to the instrument. The CSGIII also benefits from new sleeker key modelling, redesigned tonehole positions and design, and correct use of leather and cork pads at various points of the instrument. All these improvements add to the projection and feel of pro quality.